I have been recording digitally since 2000. 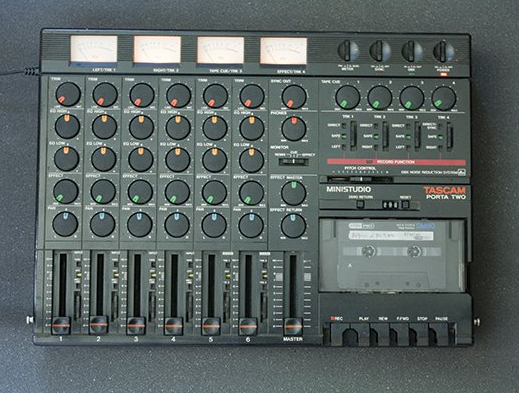 Prior to that I had recorded demos with a 4-track Portastudio, and going back further I’d had occasional access to a 2-track reel-to-reel tape recorder. All recordings from these machines have been carefully hidden from the world. Going digital after using tape was like emerging from a fog. It was liberating and stimulating. It allowed precision editing, it enabled me to add effects, and it gave me a bigger track count. I began with Cool Edit Pro (which is now Adobe Audition). I loved it, and used it for my Common Land CD. But it was audio only, and I wanted to explore the possibilities of using midi to add the textures of virtual instruments to my acoustic ones. I moved onto Steinberg’s Cubase, and produced a lot of work on it, for myself and for other people. It did the job, and I appreciated it. What I did not appreciate was the continual and expensive upgrade path. I always felt that I was being left behind, and could not justify shelling out for each new version, considering I was a home studio hobbyist with a limited income. Then, in 2010, I underwent six months of chemotherapy, and spent a lot of time in bed. Unable to work on any new projects or give proper attention to half-finished work, I had the time to investigate Cockos’ REAPER, (stands for Rapid Environment for Audio Production, Engineering, and Recording) sitting in bed with a laptop. I’d read about it in Sound on Sound and was intrigued. Here was a piece of software which was very affordable and allowed you to use an uncrippled demo version, indefinitely and with no obligation to buy, beyond an appeal to your sense of decency! (I have paid, of course.) Updates came frequently and freely, installation and updating was simple and trouble-free. There was a vibrant user community who were supportive, grown-up, amusing and knowledgable. As I began to get back to health* I started to move ongoing projects across from Cubase to Reaper, and decided to use it for any new work. I have not looked back. I’m not going to review Reaper, because that has been done fully elsewhere by people far more capable than me. Here, for instance, or here. Suffice to say, I love it. Now that I am unable to play acoustic instruments I am enjoying a deeper journey into the world of midi. Reaper and I spend many happy hours together. Thanks you Justin Frankel and Cockos. *Or so I thought. MS was waiting to strike!